As an app developer integrating with Google Fit, you may surface Google Fit branding to your users. Follow the guidelines described in this document when surfacing Google Fit branding elements to your users to ensure a great user experience and a polished presentation. Use of Google brands in ways not expressly covered by these guidelines is not allowed without prior written consent from Google (for more information, see the Guidelines for Third Party Use of Google Brand Features). It is also important to show your users how Google Fit is used for the most intuitive experience. Only apps that are officially recognized as supporting Google Fit can use Google Fit branding. Your app must use Google Fit features to share or read fitness data to be recognized as supporting Google Fit. Do use the Google Fit icon when labelling entry points to Google Fit features. Do use the "Google Fit" brand nominatively to refer to in-app fitness service features. Example: "Google Fit lets you view your step counts during runs." suppress or interrupt any pop-ups or overlays invoked by Google Fit on Android. use Google+ icons to label in-app features and functionality. use “Google”, “Google Fit” or any other Google trademarks in your app title. You may use Google trademarks nominatively, as described in these branding guidelines, in your app description. use Google provided iconography, Google logos, or anything closely similar to those icons or logos in your app's icon. 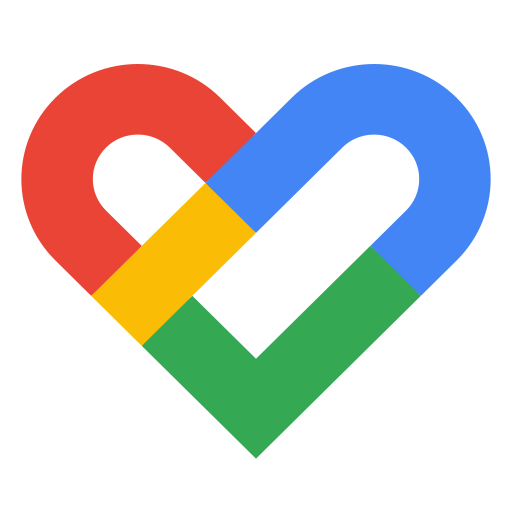 use or refer to Google Fit in a way that suggests a partnership, sponsorship, or endorsement with Google. For more information about using the Google Fit brand, including visual asset downloads and how to use them, see the Google Fit Partner Marketing Hub. Ask the user to connect to Google Fit during app onboarding, app launch, or when they start a relevant activity. Use a clear and obvious call to action to the user. Button text such as "Connect to Google Fit" or "Activate Google Fit" are examples of clear calls to action. "Google Fit is an open platform that lets you control your fitness data from multiple apps and devices." "Connecting to Google Fit allows you to see heart rate data with your workouts"
"Connecting to Google Fit allows you to see more fitness data like step counts and weight"
"By connecting [Your app] and Google Fit, you can easily integrate your fitness activity from various sources to help you better understand your progress." Include information on how to disconnect from Google Fit (an option that you should add to your Settings). "You can disconnect from Google Fit at any time by going to Settings"
Use the Google Fit Icon provided on the Google Fit Partner Marketing Hub. Last updated February 11, 2019.